broker in Ohio, Kentucky, and Georgia. Larry oversees business and client development, NAI Bergman licensee supervision, acquisition / disposition representation, and engages in transactional activity. Larry is a consistent award winner in Commercial Real Estate. In 2014, he was selected by the Midwest Real Estate News Commercial Real Estate Hall of Fame. He was also awarded NAI Global’s President’s Award – Eastern US Markets. The President’s Award recognizes leadership, teamwork and business generation. Out of 400 NAI Global affiliates, NAI Bergman was nominated for company of the year and was recipient of The Eagle Award – Major Markets – US. Larry has been consistently recognized as a Top 10 Costar Power Broker in Sales and/or Leasing transactions, and was also recognized by the Cincinnati Business Courier as a Top 10 Commercial Real Estate broker. Through Larry’s community efforts, NAI Bergman was selected as the 2012 Blue Ash Business Advocate of the Year. 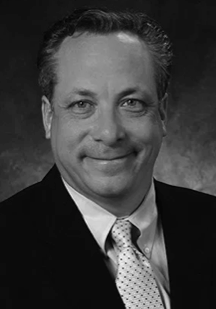 Larry has a broad range of commercial real estate experience and his knowledge is extensive. He repeatedly proves worthy to those he comes in contact with. Beyond brokering transactions, Larry is a principal in a real estate development and investment business. He served as Chairman of the Greater Cincinnati Commercial Real Estate Council and continues to sit on its board of directors. He’s also served on the Lands Commission in the United States Federal Courts. LD: What career path did you want to take when you were in college? LB: It’s been many years ago, but I majored in Real Estate and Urban Development at Syracuse University. LD: What events in your career path brought you to your current position at NAI Bergman? LB: I began my career in a much different family business that led into managing real estate that my family owned. While we focused on our family interests, friends reached out for me to help them with their real estate needs. Their satisfaction led to referring our group to others and our building a third party brokerage, property management and development business. LD: Can you tell us a little what your “average” week of work is like? LB: It’s coming to the office each day, responding quickly to emails and calls, meeting with many people, being prompt as possible and diligent to proving a worthy resource for information and assistance. LD: Being in the trenches of two major Ohio markets (Dayton and Cincinnati) can you give some insight to what you are seeing in the overall supply/ demand of commercial real estate in these markets? Are you seeing business grow, space being absorbed? A shift of demand in asset classes? New Construction? LD: Through NAI Bergman’s concentration in Cincinnati your team ends up doing a fair amount of work in Southeast Indiana and Northern Kentucky. What are some of the pros and cons to the greater Cincinnati Market with it extending into its two neighboring states? LB: While my practice does not personally expand into Southeast Indiana, our office does have brokers licensed in the State of Indiana. I only see the pros of serving the Greater Metropolitan Area. LD: The Bergman Group was around and established for a good 15 years before your team became the exclusive NAI office for the greater Cincinnati region. How has NAI added value and opened opportunities to grow your team, abilities, etc. LB: Our affiliation with NAI Global has benefited us as it provides us resources that we share with 400 other NAI Global offices throughout the world and connections that drive our business. LD: What changes do you see coming to Commercial Real Estate over the next five to ten years and what is NAI Bergman doing to prepare for these changes? LB: Changes occur not over a long period, but very quickly. We see daily technologies that either help us conduct business or changes how we do business. What technology cannot provide is human interaction. LD: Everyone has a few transactions that stand out in the careers. What is one deal thus far in your career that stands out to you and what is the significance to that deal? LB: There are many transactions that stand out throughout my commercial real estate career. One that was out of the box was my idea of taking a large industrial building that is approximately 617,000 sf. and converting it to a retail use. The building had great highway exposure and was located within a regional retail corridor. This property continues to prove successful since the redevelopment over 20 years ago. LD: What advice would you give a young Larry Bergman, who has just graduated college and is looking to kick start his career in Commercial Real Estate? LB: First ask yourself if you are a people person. Do you like to get to know new people each day? If the answer is yes, then it’s a field that you may like to be involved in. Get licensed to practice real estate, find a successful mentor in the field and embrace the idea that perseverance, knowledge and care of clients and customers will lead to success. LD: What advice have you received that has been instrumental in your success? LB: It’s not advice that has been instrumental in whatever success I may have achieved, but my desire to follow those folks I respect, especially my family. NAI Bergman is a family business; it includes my father, brother, brother in laws, nephews, daughter, son and all the associates I work with. We are a team that supports one another and especially clients and customers. For more information on Larry Bergman, or NAI Bergman please visit their website: https://www.naibergman.com.